Car Shopping? Take a look at this 2013 Dodge Charger R/T for sale Greater Kansas City! 5.7L V8 HEMI Sunroof, Heated Seats, Uconnect 8.4 CD/MP3 Touch Screen Media Center, 20″ Chrome Clad Alloy Wheels, Beats Audio System, 552-watt amp, (10) amplified speakers w/subwoofer, Remote Start, Rear Wing Spoiler, Certified Warranty. Do you want it all, especially FUN? 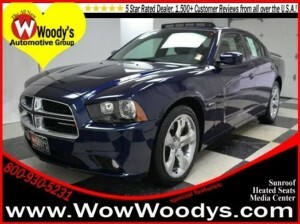 Well, with this superb-looking and fun 2013 Dodge Charger, you are going to get it.. This fantastic Charger is one HOT car looking for a love connection.